As we embark on Sunshine Week 2013, it’s a great time to reflect on recent work promoting transparency and open data in cities, counties, and states across the country. Check out two endeavors and join in! Cities, counties, and states across America have been busy opening up data on health, public safety, transportation, and so much more! These sites are owned and managed by local governments, but wouldn’t it be great to have access to all of these? Ask no more…welcome to Cities.Data.gov, Counties.Data.gov, and States.Data.gov. From these sites, you can search the data on Data.gov, but also almost 30,000 datasets from local governments. New sites are being added each week. Congratulations to New York State for their new open data site, which was launched yesterday and is already accessible through States.Data.gov. 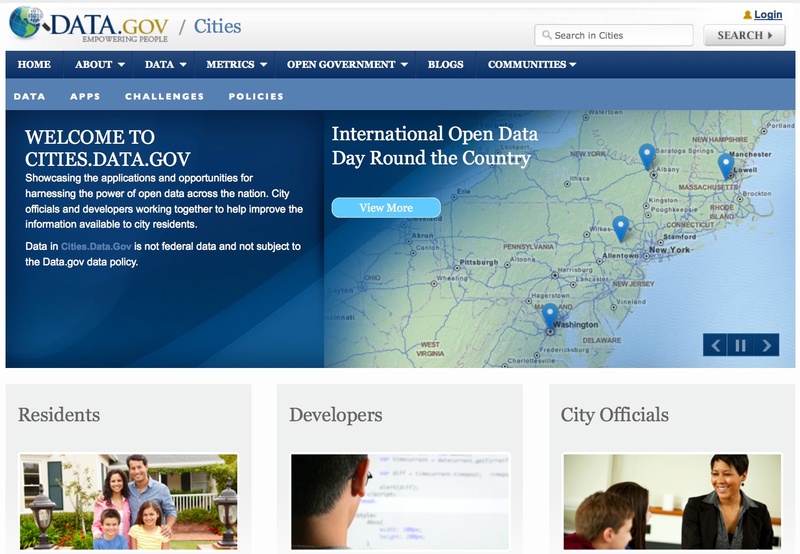 On February 23, 2013, International Open Data Day with meet ups, hackathons, and celebrations of open data in their city, region, and country. Congratulations to David Eaves, who has organized this great event each year. In each city, developers, citizens, students, and businesses got together to find ways to improve life in their community through the use of open data. From visualizations to apps, from policy discussions to offering citizen services—great discussions and insights were shared. Every city had great outcomes, and a couple of examples come from Louisville, Kentucky and Washington DC. In Louisville, Kentucky, Ted Smith organized a city-wide event that offered $10,000 in prizes to winning teams. The focus was on apps and uses of open data that would “improve the quality of life in our city,” noted Mayor Greg Fischer. The winning app, Safety Check, looks at crime statistics and how to report criminal activity and understand personal safety. The event in Washington DC was hosted by The World Bank and led by Josh Tauberer, Sam Lee, Dmitry Kachaev, and Kat Townsend. Open data enthusiasts came together to code up some amazing ideas and visualizations, which can be viewed online. Josh’s great summary and videos showed how much energy can be harnessed for social good. Remember this event happens each year and it would be great to see open data events in more cities and US open data in more apps. If you can’t wait a year, two other opportunities are coming up. There are lots of activities with Data.gov through open data initiatives and communities around these events. I look forward to seeing you at one of these events. Feel free to post ideas or contact me if you are interested in having Data.gov working more closely with your event. Federal agencies are working to set the data free—help us by putting the data to use! David Eaves has done a really great job, these type of event helps really improving life of community. Thanks for sharing wonderful blog with us. Many people like me find your advice very helpful and informative. Keep up the good work. A very good blog, thanks for sharing. Ted is my cousins friend. He’s very good at organizing events. I am looking for how much event promotions businesses earn in specific cities in order to study correlation with cost of living index. Does anyone know what data set would be best used for this study?